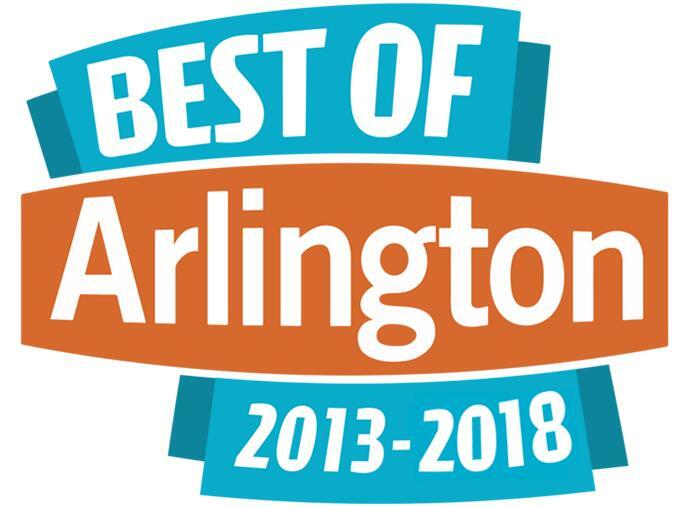 As the modern lifestyle and housing standards change, Arlington officials are drafting a policy that will allow homeowners more room to make accessory dwelling unit (ADU) structures to their existing lots. Accessory dwelling units are much more compact, stand-alone second living spaces on a single-family lot. An ADU may consist of a lower garage with its own bathroom and kitchen area upstairs and it may be used to house a family member or help bring in additional income by allowing people to rent it out for short time periods. With accessory dwellings either being located near the main single-family home, they may appear as a basement apartment, a detached garage or even a guesthouse. No matter what you have in mind for your property, trust the most professional and quality Home Design/Build services in Northern VA. Paradigm Building Group stays up-to-date with Arlington County’s most recent zoning changes and will help you discover the Custom Home Design and Build services that will work best for your property ensuring it meets all of your needs. 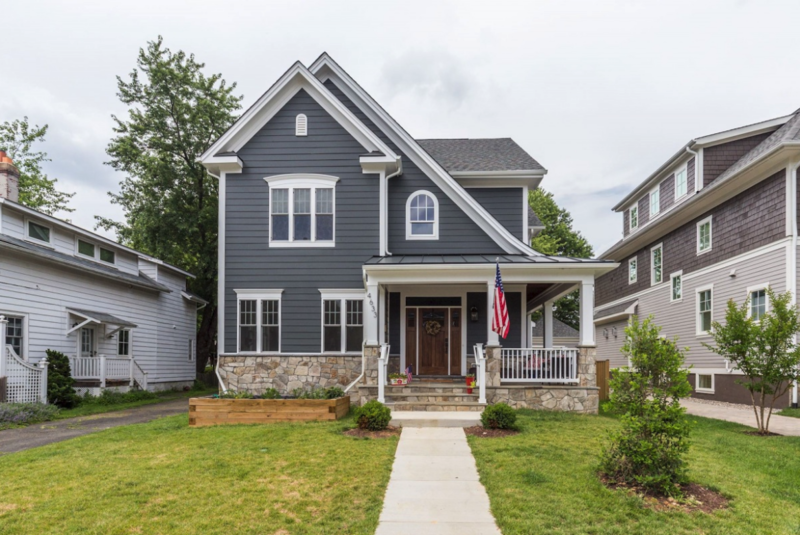 As Arlington is striving to find a middle ground between luxury and subsidized housing, the County’s Affordable Housing Master Plan allows for accessory dwelling units to be a more reasonably priced housing option for its growing community. Ever since the County Board worked on the ADU regulations in 2017, it only made housing adjustments that allow homeowners to make alterations to existing structures on their property as ADUs. However, it didn’t allow for them to build new ADU additions that were also unattached to other buildings within their property range. These regulations also did not go beyond impacted apartments to be developed within a single-family home, a garage, or attic space. This led to the County Board researching other ways to expand the construction of new ADUs that are detached from homes while maintaining privacy and allowing for more affordable housing options. Arlington County had proposed several setback requirements: one-foot, five-foot, and 10-foot. While the one-foot setback was declined due to it significantly allowing for less privacy as structures would be located right along property limits, it also allowed for only 44% of residential properties to be eligible to construct ADUs. In comparison to that, the 10-foot setback would only qualify around 37% of property owners while also making more buildings feel more clustered, which was unfavorable. They had settled on the five-foot setback that seemed to be the best middle ground option. The five-foot setback will pave way for a firm balance between a number of property owners’ privacy and separation, ADU design flexibility, as well as developing more reasonably priced housing. 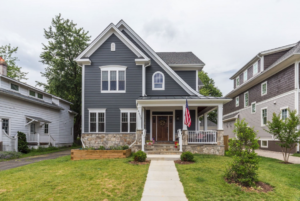 With the Arlington County Board planning their series of meetings to help encourage the building of more cost-effective homes for aspiring homeowners, the future of building more flexible and affordable housing options looks bright. At Paradigm Building Group, we look forward to working together with you to grow your lifestyle with an efficient Home Design Build. If you aren’t quite sure how to expand your home to its fullest potential, look to Paradigm Building Group to see how you can get the most out of your Custom Home Build addition. Take a look at our previous Custom Home Build projects. Contact us at (703) 476-5877 to schedule a consultation and start planning your Design/Build project today!